My name is Kirstin and I am the new Research Intern at LHSA. I graduated last year with a BA (Hons) in Photography and Film, with my dissertation focusing on the artistic influences of the rare study of 19th century male hysteria. It was throughout my dissertation that I discovered how much I enjoy researching topics in further detail, and how I love sharing the fascinating stories I find with others. This led me to my previous role as Hospital Community Intern with Artlink, a research-based internship for the "200 Years 200 Objects" exhibition commemorating the Royal Edinburgh Hospital’s bicentenary. This role gave me the chance to interact with staff, patients and ex-patients by talking with them to find out the medical, social and personal history of the hospital. What I loved most about the project was discovering the personal stories of the individuals who have been at the hospital. I am therefore delighted to be the new Research Intern at LHSA, where I have been given the opportunity to research in depth stories from World War 1 resources, which also include the personal stories of some extremely admirable and fascinating people. My five-week internship will involve researching and choosing appropriate stories from LHSA WW1 resources, to develop and create educational resources for school children, universities and the general public which will be used both in person and online, a task I am really excited to be part of. I have been very lucky in my first week to begin this task by looking through the volumes of the Craigleith Hospital Chronicle, a hospital magazine made up by many beautiful and touching stories, sketches and poems contributed by both hospital staff and wounded soldiers. I have loved looking through the magazines immensely, and I feel I have met some fascinating people which I look forward to researching further over the next few weeks. The beautiful sketches and artwork scattered throughout have been one of my personal highlights whilst viewing this material. But my favourite so far has been the funny little captioned illustrations throughout the magazine. At a time when there was so much devastation I found it incredible people could still see the lighter side of things. New conservation intern, old parchment deeds! Hi my name is Sarah and I am the new Conservation intern with LHSA. I recently graduated from Northumbria University earlier this year having completed an MA in Fine Art Conservation, specialising in ‘Works on Paper’. And after coming to this area for one of my summer placements I am very pleased and excited to be back once again to live and work in Edinburgh. 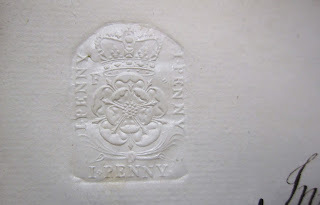 My Conservation Internship is for 10 weeks and my main task is to review the condition survey of an accession that contains parchment title deeds, other related papers and architectural plans relating to the Royal Infirmary of Edinburgh. So my first week has been spent looking at each item within the accession with an aim to produce a treatment proposal for the accession as a whole. This internship also allows me to experience other aspects of working within an archive. I have been helping to prepare for the ‘200 years 200 Objects’ exhibition that will be taking place at the Talbot Rice Gallery next month by creating the outline and measurements for the book cradles that will be used as the display supports for a selection of bound volumes that are to be included within the exhibition. There are many interesting aspects to the accession that I am looking at; some of the objects are very old and badly damaged. One of the objects that I looked at was dated 1610. This is the oldest object that I have ever had the privilege to handle or treat. 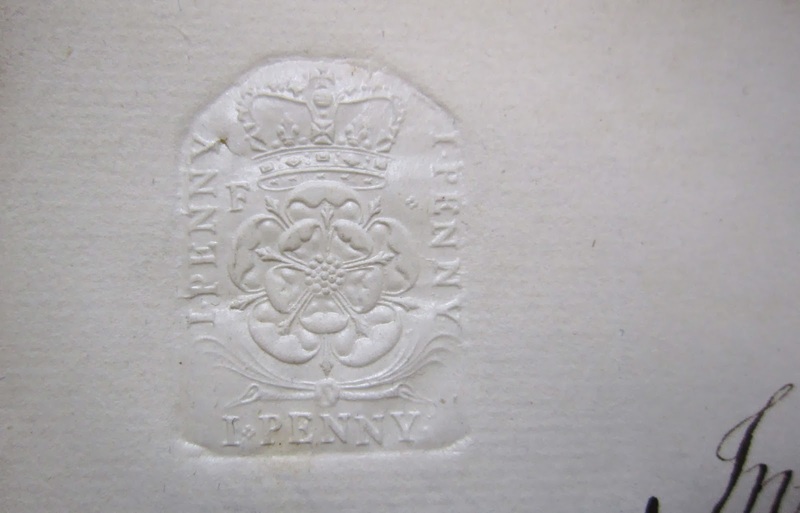 Another interesting aspect was finding a legal document dated 1798 that had been embossed with a stamp showing the cost of postage: proof of postage before adhesive stamps were first introduced in 1840. New archive intern, new photo discoveries! My name is Sharon and I’m the new archive intern. I completed the MSc in Information Management and Preservation at the University of Glasgow in August of this year and I’m very excited to begin to get practical experience working as an archivist. It’s also very nice to return to LHSA; this is where I did my course cataloguing placement last year. My main task is to continue cataloguing LHSA’s collection of photographs into the database, so my first week has been spent mainly assessing them and making a list of what we have. The internship also allows me to experience other aspects of archival work, including dealing with enquiries. Sarah, the Conservation Intern and I helped Archive Assistant Stephen research some enquiries from the public by looking through the Royal Edinburgh Hospital Register of Deaths and the Casebooks. I’ve also been helping Archivist Laura to make arrangements for the ‘200 years 200 Objects’ exhibition which will be taking place at the Talbot Rice Gallery next month. Yesterday we spent some time evaluating objects and papers from our collection which will form part of the exhibition and I had the opportunity to see important historical resources such as the Royal Edinburgh Hospital Minute Books. I’ve seen a lot of really interesting photographs this week and am sharing my favourite one so far. This is a so far uncatalogued item entitled ‘Photos in Nurseries, June 1949’. It shows children from St Kentigern's; I don't know much about its provenance nor about its context, but the delight on the faces of the nurses and children and the penguins, happy to be the centre of attention, make it a great photograph. This week’s blog focuses on the papers of the famous surgeon Sir James Rögnvald Learmonth (1895 – 1967) which are currently being catalogued by archive assistant Stephen. Learmonth was born in Kirkcudbright and graduated from the University of Glasgow in 1921. In 1924 he was awarded a Rockefeller medical scholarship and spent a year at the Mayo Clinic in Minnesota. Learmonth was later invited to go back to the Mayo clinic as a permanent member of the clinical staff from 1928 – 1932. Returning to Scotland in 1932, he was appointed as regius professor of surgery at the University of Aberdeen - the professorship selected by the King. In 1939, he was appointed professor of surgery at the University of Edinburgh and in 1946, regius professor of clinical surgery. This meant that he could be called upon to treat the King, particularly when he visited Scotland. Therefore, from 1932 Learmonth started keeping newscuttings of George V and later George VI (there is no mention of Edward VIII), charting some of their health problems. In 1949 Learmonth conducted a lumber symphathectomy on George VI to improve blood supply to the monarch’s foot. For this, Learmonth was made Knight Commander of the Royal Victorian Order (KCVO) and the collection includes copies of letters written by George VI and his wife Queen Elizabeth, thanking him for his help. 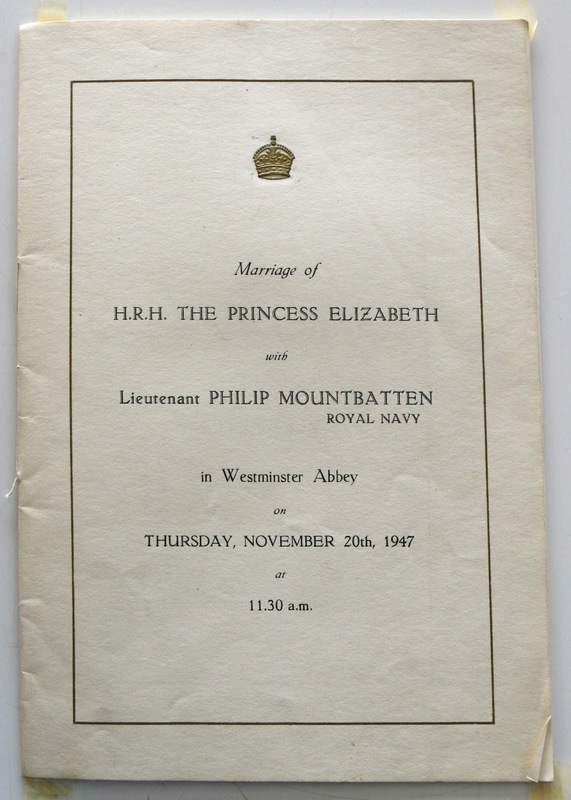 After George VI died in 1952, Learmonth continued to be available for service to Elizabeth II and was appointed an extra surgeon to the Queen in Scotland from 1960. 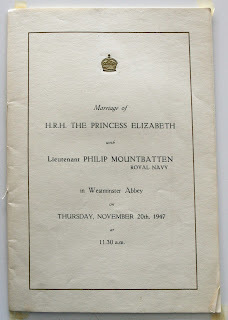 One of the cuttings books contains an invite to the wedding of Princess Elizabeth to Phillip Mountbatten in 1947, now Queen Elizabeth II and Prince Phillip. Other cuttings and photographs present include Learmonth’s visits to Norway and France for medical conferences, and obituaries relating to colleagues. In his later years, Learmonth was greatly respected by the medical community and some of the papers include details of visits to New Zealand and Canada in 1954 to inspect medical facilities. The April 1967 edition of Mayo Alumnus, included in this collection, contains a series of correspondences between Learmonth and the editor where he offers to write an article on his scientific philosophy though he thinks it ‘would be a trifle old-fashioned’ since he has been retired for ten years. The editor assures him that what he says will be read with interest and Learmonth’s article follows in that edition. Learmonth was diagnosed with lung cancer and passed away on 27 September 1967, but his legacy remains in his papers (Acc 06/15) and case notes held at LHSA. We’re delighted to be welcoming two new interns to the LHSA team next week. Our second round of internships will follow a similar programme to those that we ran earlier in the year, providing project based work to help the interns expand their skills after qualifying along with some wider experience of working in the archive sector too. We’ll also be carrying out the informal interviews for a brand new research based internship next week. This is an exciting time - seeing increased work on LHSA material and giving us an opportunity to pass on some of our experience and knowledge of both the collections and the archive/conservation fields to those new to the profession. We’ve recently added a photo journal to our Flickr stream to represent some of the work of our first two interns, Fiona and Charlotte(http://www.flickr.com/photos/49439570@N08/sets/72157635875916173/). We’re looking forward to seeing more of the same for this round and our interns will be blogging regularly, so watch this space!